MICHAEL A. VENTRELLA: I’m pleased to be interviewing Norman Spinrad, one of my favorite authors! 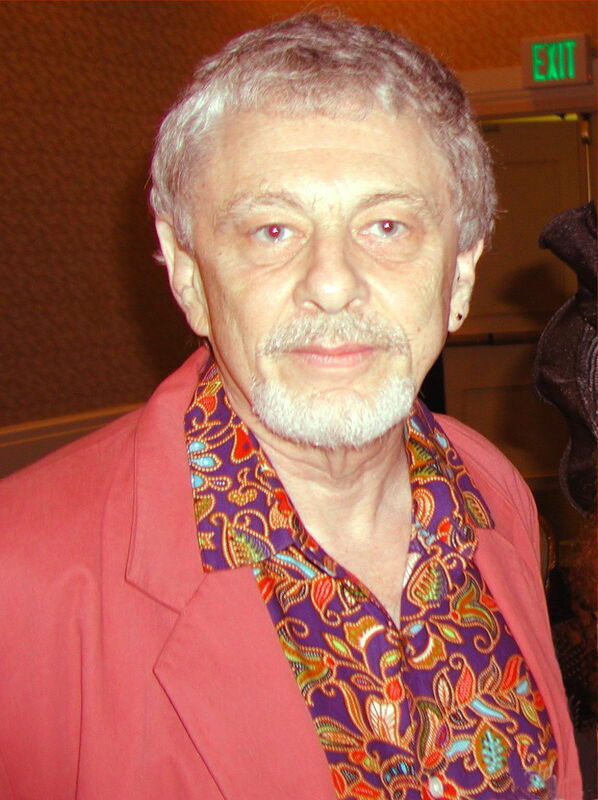 Norman Spinrad is the author of some 20 or so novels, five or six dozen short stories, a classic “Star Trek” episode, a couple of flop movies, an album’s worth of songs, political columns, film criticism, literary criticicsm, mini-cookbooks, autobiography, and a bunch of assorted other stuff. The latest novel to be written is a called WELCOME TO YOUR DREAMTIME, in which the reader is the viewpoint character. 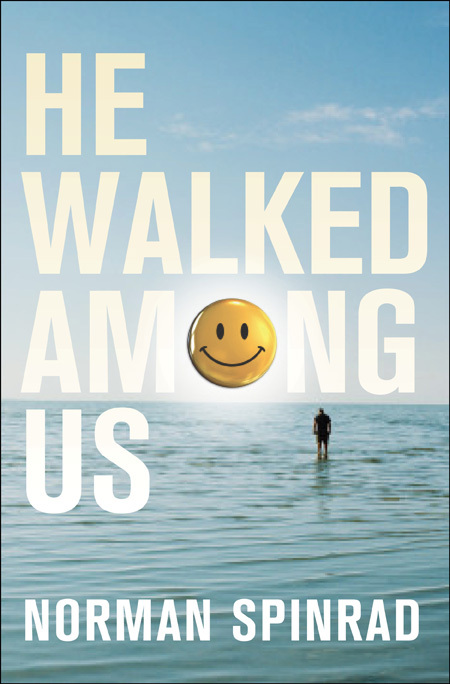 The latest novel to be published, in April 2010 by Tor, will be HE WALKED AMONG US. His web page is here. I can still recall when a friend and I both read BUG JACK BARRON within a short period of time, and spent months talking about it and saying what a good movie it would make. If you don’t mind, let’s start with that. 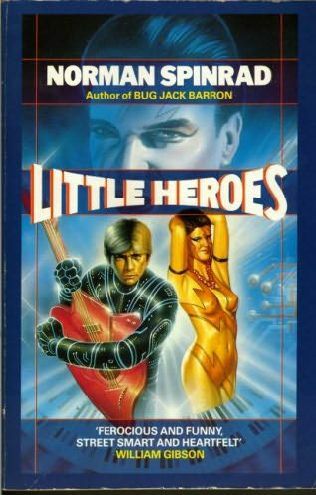 You have written scripts before (most notably for the original “Star Trek”) and have produced one for BUG JACK BARRON, but somehow, due to Hollywood politics, it has never been made. What has stood in its way and is there the possibility that it might still happen? NORMAN SPINRAD: This is always the wrong question. The right question is “How does any film get made?” I’ve had the experience of pitching a film project of THE BIG FLASH six times in one day, and what I was doing was walking into someone’s office and saying in effect “gimme $15 million.” Try it some time and see how it feels! You can look at my YouTubes about this for gory details, but basically, the situation is that Universal had to pay the pick-up money when it looked like Costa Gavras was going to do it, Costa Gavras killed himself in Hollywood with HANNAH K, there were blown scripts, they didn’t like mine, never got made though any number of directors and producers have tried to get it away from Universal (in those days a “pick up” meant they owned the rights forever) because of a tax dodge in which studios keep phantom projects “alive” so they can use them to write-off annual deductions in the form of enhanced overhead for “development.” There are hundreds of such projects in the same situation in Hollywood for the same reason. 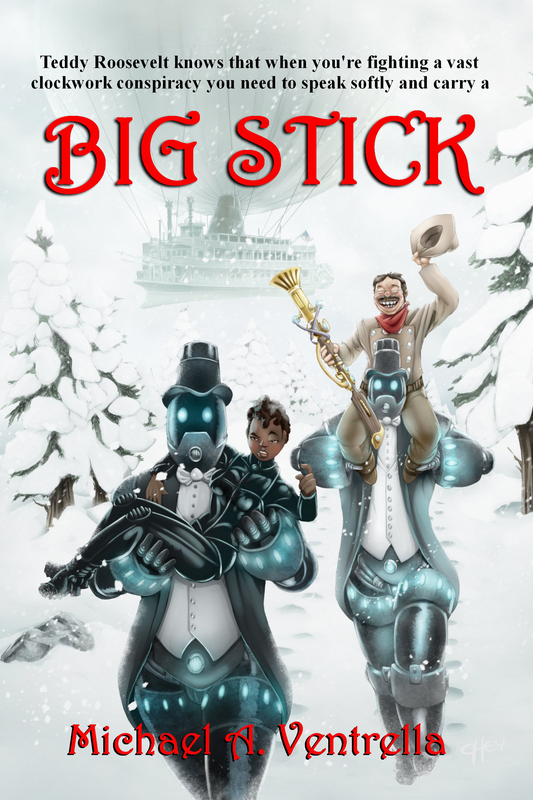 VENTRELLA: After the controversy over BUG JACK BARRON, did you make a conscious decision to push the limits even farther with your book THE IRON DREAM? SPINRAD: No, I never do that, consciously seek to push limits, I just ignore limits. VENTRELLA: How did you get the idea? 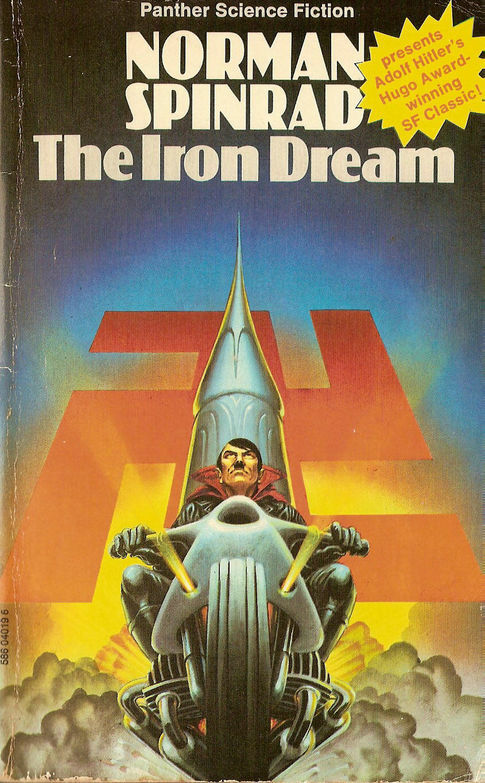 SPINRAD: I got the idea for THE IRON DREAM by asking Mike Moorcock how he wrote all his commercial fantasies. “Take a myth, or a story from history, run it through a lot of Freudian imagery, and there you have it,” he told me. VENTRELLA: Looking back, are you happy with the results? 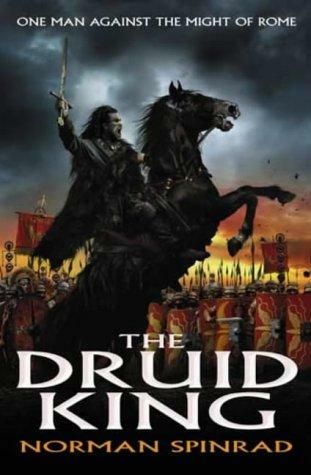 SPINRAD: In retrospect, after THE IRON DREAM got all those good reviews in over a dozen countries, won an Apollo, was nominated for an American Book Award, I was finally convinced I had written a suigenerous classic. Before that I hated the novel; it took me a long time to figure out that what I hated was the unpleasant work of writing it, not the result. VENTRELLA: Your novel HE WALKED AMONG US has gone through a most interesting publication history. Can you explain a bit about this? How much of this was by your design and how much of it was because of problems with publishers? 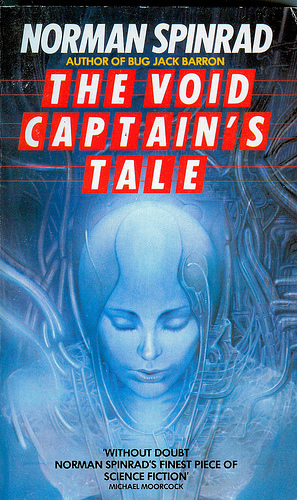 SPINRAD: All of it was problems with publishers, and I’m not going to go into it here. Suffice it to say that HE WALKED AMONG US was finally published by Fayard in French translation last year, a much more presitigous and serious publisher than any of those who rejected it, and will finally be published by Tor in April 2010. VENTRELLA: You’ve dealt with language in the future in your novels. Where do you think we are heading? Is English taking over the world because of our culture? SPINRAD: No. Our (pop, Hollywood, etc.) culture is taking over the world because of English, which is the most popular second language in the world as well as the first language of something like half a billion people. The Anglophone market is by far the biggest. VENTRELLA: As a transplanted New Yorker, what is it about Paris that made you move? SPINRAD: Nothing, if you mean back to NY, except financial and real estate complicatons. If you mean to Paris, I moved there for what I thought would be a year to write RUSSIAN SPRING, set primarily in Paris. But by the time I had finished, what was going on in Europe was much more interesting to me as a speculative writer, and personally I just enjoyed living in Europe, and particularly in France, much more than in the US. More diversity in the same area. VENTRELLA: I read an interview you did with Woody Allen where you two discussed how much better artists are received in Europe. What is it about the culture that makes that possible there and not here? SPINRAD: In part, it may be that it’s an individual thing, my work somehow resonates powerfully with the French as does Woody’s. But as a generality, I think it has a lot to do with American anti-intellectualism. If you’re living off an art, you’re less than macho, and if you are not employed, you’re a bum. How this evolved, I’m not sure, but I think it has to do with the extreme laisez faire capitalism of the US, and the idea that the bottom line is the bottom line. This is not true in France, for example, although the French are very keen on making money, where it is clearly “cultural patrimony” — literature, art, film, music, even comics, that trumps money psychologically and socially. VENTRELLA: Do you consider yourself an optimist? Does the world today look like you imagined it when you began writing, and do you think it will improve? SPINRAD: Neither an optimist nor a pessimist, but a realist. And I’ve imaged all sorts of contradictory futures, as have most serious writers of speculative fiction. The point is not prediction, the point is exploring possibilities, even very improbable ones. VENTRELLA: What is your writing process? SPINRAD: Story comes first, no story, no writing, and story, at least at novel length implies structure, at least knowing where you’re going before you start, and why you’e going there. So with novels, I don’t so much write “outlines” to begin with but treatments in the film manner, not just the events and the characters, but the voices and the styles. With short stories, I guess I often do just start writing some stuff to see what happens. VENTRELLA: Do you have any tricks you use for making sure that your characters are believable and consistent? VENTRELLA: Have you ever had to make changes you regret due to publisher/editor requests? SPINRAD: Not really, except for some title changes. SPINRAD: Not at all. I worked at the Scott Meredith fee reading service, which charged would-be writers for “editorial advice” and promised to try to sell what was marketable.. What was marketable was about 5% of amateur submissions. No technology will ever change this except maybe by increasing the size of editors’ slush piles. VENTRELLA: The publishing industry still seems to be stuck in a “bricks and mortar” mentality, and is slow to embrace e-books and the like. Do you think that publishers will eventually be forced to reduce their prices on e-books? SPINRAD: All this is in a creatively chaotic state of flux, and will be for a year or two. Publishers are not now slow to embrace ebooks, far from it, they’re almost desperately trying to figure out business models, pricing, power relationships with Amazon, Barnes and Noble, etc. In my opinion, the devices to make ebooks take off are already here, more or less, what isn’t is realistic business models stripped of excessive greed. It seems clear to me that an ebook should be treated first like a trade paperback, later as a mass market paperback. Meaning that when it’s a new title, it should sell for about $10 or $12, say, which is a 20% or so discount from the current standard price of a trade paperback, and this is the difference in numbers that Amazon and Macmillan were fight about, and it’s no big deal. But publishers, for titles that they want to launch in hardcover, should be able to delay ebooks for several months to protect hardcover prices, just as they now delay paperbacks a year to protect them. Once a book as been around over a year or so, the ebook price should be competative with that of a mass market paperback. This, in general, is the just, workable model that will work, and therefore I believe it will enventually emerge. Think of it as evolution in action. VENTRELLA: Finally, what is your favorite? For what would you like to be remembered? Many people walked through them. Saw Norman Spinrad at Albacon back in the mid-80s, in Glasgow, Scotland. He was filling in for an ill Harlan Ellison, and made a big impression. Guy’s got the moxie, got the chutzpah!